As I Am offers innovative products for natural hair in the ethnic market. They were ready to start a strong marketing campaign to promote natural hair care styles, techniques, and products. 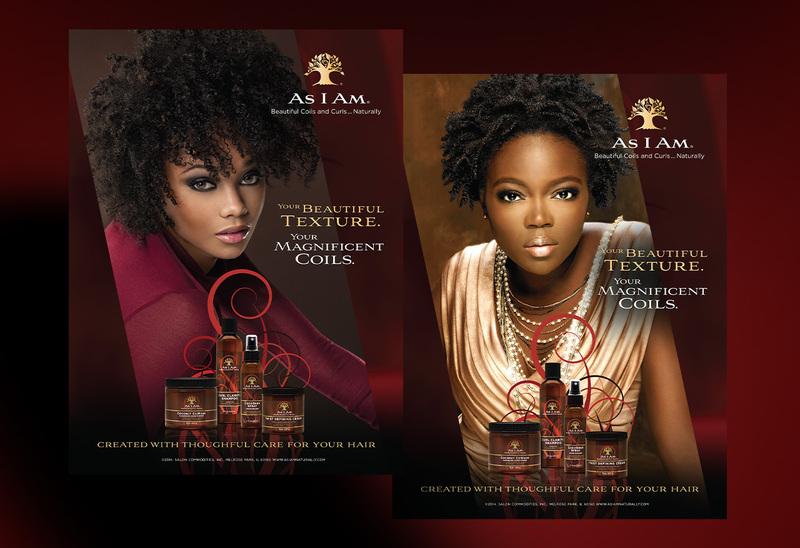 We helped by delivering a brand that conveyed As I Am’s passion for their customer’s natural curls. To go along with their products’ designs, we implemented e-commerce compatibilty on their website to make purchasing quick and easy.